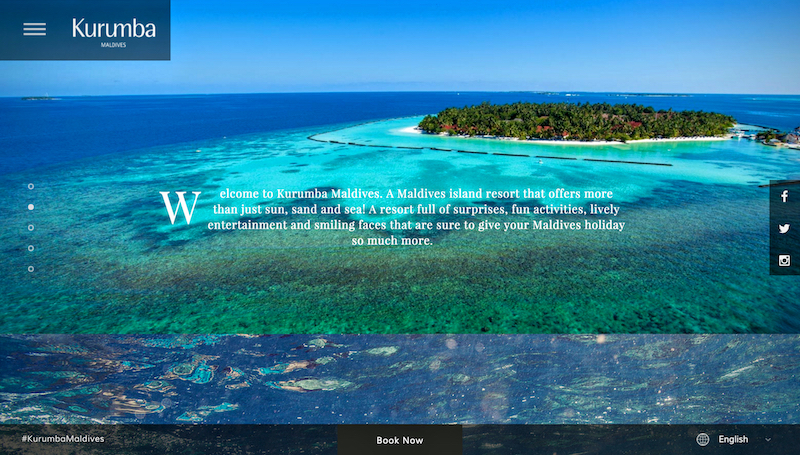 Kurumba Maldives is proud to announce the launch of its new website. Developed by QUO, the new website has been designed to be more user-friendly, particularly for mobile and tablet users. Video content has been added, to assist with exploring experiences, facilities and services within the island. The second stage of development will be launched in the coming weeks and will include an upgraded booking engine, a live chat functionality, an interactive Blog site and an updated guest reviews page. The distinctive character of Kurumba emerges through this new concept and design, particularly in reference to the choices the island has to offer and its unique and enriching guest experiences, continuing with our commitment to provide more for our guests than resorts further afield.